Clinic across from St Johns Hospital, very close to Costco and Maplewood Mall. Walk in appointments are welcome too. Wednesday walk in special until 5:30 pm. For faster service at your visit please call to schedule appointment. Caring and customer friendly staff with a focus on helping you have a smooth and pleasant experience. 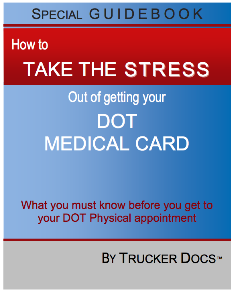 Get more out of your DOT Exam by allowing us to provide additional services at the time of your visit. Ask the office staff when you call for additional information. General Medical Exam. Insurance and cash only option, $10 discount for DOT exam if you get your preventive physical (covered at no cost by most health insurance plan) at the clinic. Chiropractic Care exam and adjustment by experienced chiropractors available at the Medical Clinic. Immigration and related exam by Civil Surgeon. Work Injuries and Work Comp specialist doctor available to Work Injuries. For more information see our website My Medical Clinic. Independent full service medical clinic, one stop shop for most of your health care needs ranging from preventive physicals, general medical, acute or chronic disease, chiropractic care, employment related services work injuries and more. We value your health and have the option of preventive physical by medical providers MD and to encourage that have added discounts to our already low everyday DOT physical prices. We know some prefer to see Chiropractic doctor and have that option at the clinic too. You can see both Medical Doctor and a Chiropractic Doctor at the same clinic. We are a “Yes We Can” clinic model which strives to provide care that puts our clients first. St John’s Hospital, Costco, Maplewood Mall. Serving Minnesota local areas: Twin City and suburbs, located in North east suburb of twin city 10 miles from downtown St Paul. Scan this QR code with your smartphone and bookmark this page to My Medical Clinic.